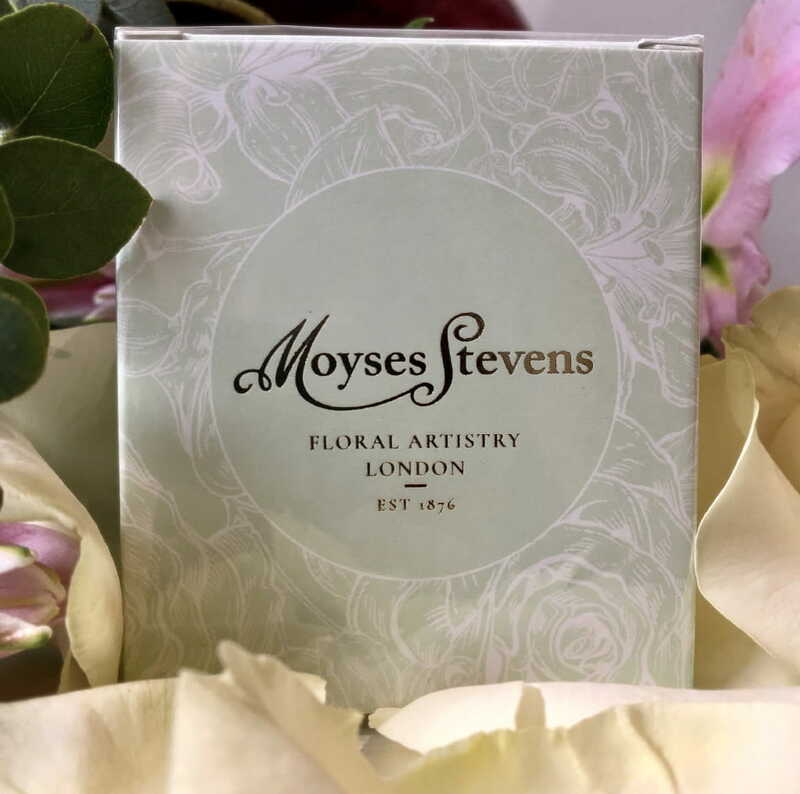 Delicately scented with white rose, eucalyptus and lily, the Moyses Stevens Candle is a glorious self-indulgence or the perfect gift for any occasion. 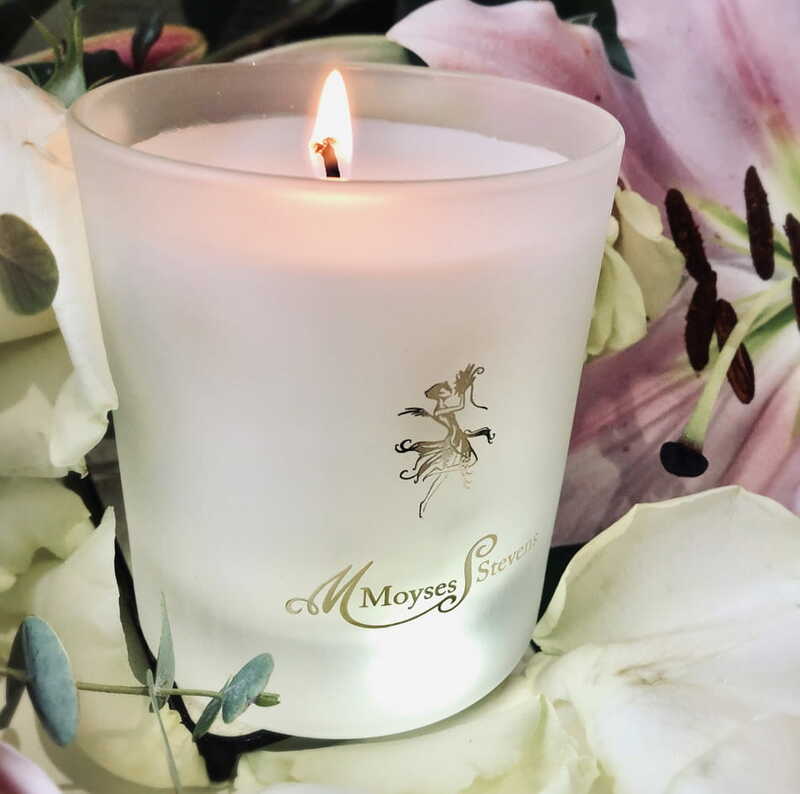 Balancing the natural sweetness of lilies with the aromatic notes of eucalyptus and perfumed rose, our candle is a showcase of the finest fragrances from the world of flowers, created by those who know it best. 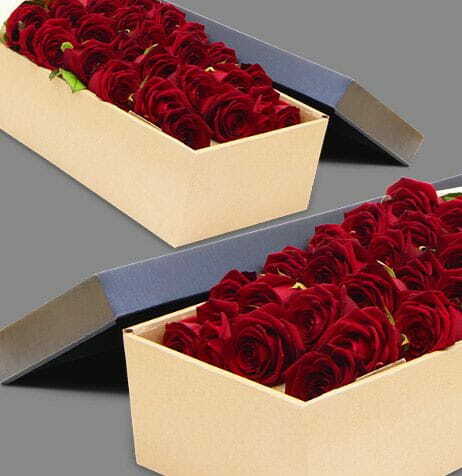 The delicate, distinctive notes of this bar are Mother Nature and exquisite flavour at its purest. 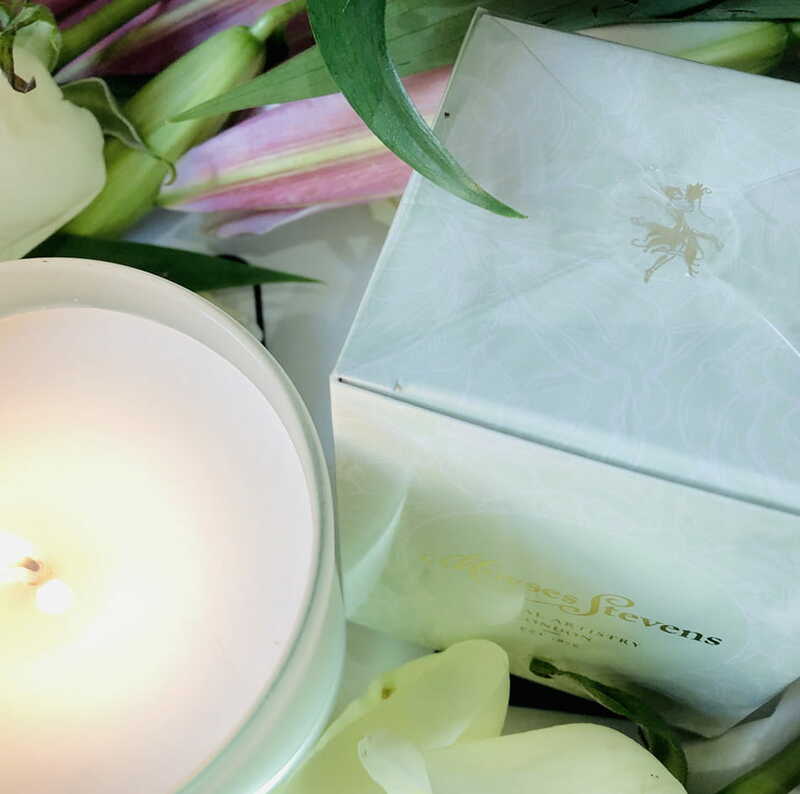 Handsomely packaged in a custom made box, the candle has a burn time of around 40 hours and is encased in frosted glass with a luxurious, gold foil logo. A truly decadent object, it is the perfect gift for a birthday or anniversary; a token of appreciation or a dinner party gift. 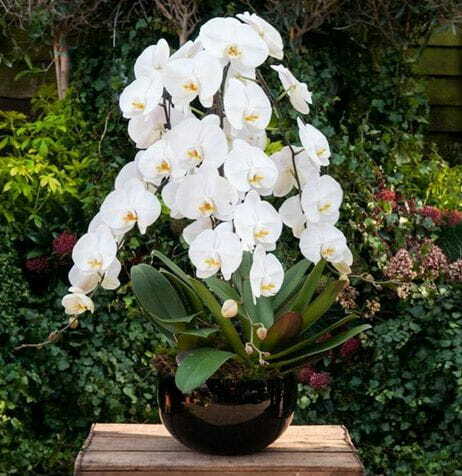 While the lifetime of cut flowers is limited to a few weeks, our exclusive candle will continue to fill your home with the aroma of fresh flowers for months. 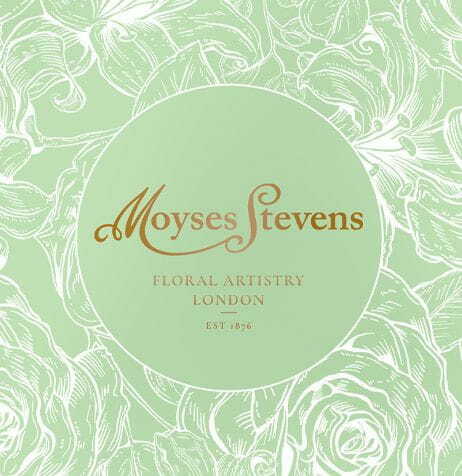 Sensual and evocative, our candle a feast for the senses and the perfect complement to a bespoke Moyses Stevens bouquet.  Here at Moyses Stevens Flowers we offer luxury bouquets by expert florists.